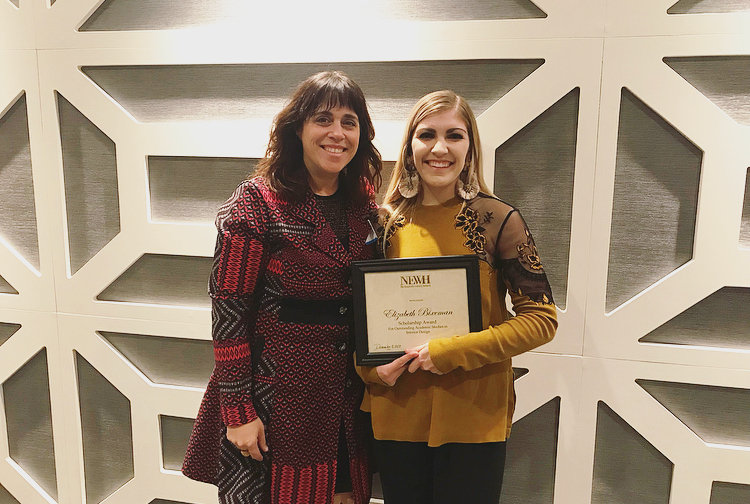 AMES, Iowa — Elizabeth Bixenman, an Iowa State University senior in interior design, has been awarded a $4,500 scholarship by the North Central Chapter of NEWH, the Hospitality Industry Network. Scholarship recipients must be enrolled in an accredited program in Iowa, Minnesota, North Dakota, South Dakota or Wisconsin and must have completed at least half of the total required credits toward their undergraduate degree (or be a graduate student) in a hospitality-related major. They must also carry a minimum 3.0 cumulative grade-point-average and demonstrate financial need. Bixenman, of Le Mars, had to submit a two-page essay describing her background, contributions through leadership and participation in college activities, the importance of the scholarship in completing her education, why she chose a hospitality-related field and her goals after graduation. Bixenman received a Debra I. Furman Pulver and Robert G. Pulver Study Abroad Scholarship to study in Italy with the ISU College of Design Rome Program in fall 2016. She completed an internship with Ware Malcomb in Chicago this past summer and is a peer mentor for the College of Design’s Design Exchange learning community for 2017-18. She received the Facebook fan favorite award in the residential category of the 2017 Sherwin-Williams Student Design Challenge. Bixenman is a member of the Design Ambassadors, Interior Design Student Association, Hixson Student Board (governing body for student recipients of the Hixson Opportunity Award), Cyclone Aides, Orchesis II dance company, ISU Hip Hop Club and Students Helping Rescue Animals club. She also volunteers with the Make-A-Wish Foundation. In addition to the scholarship, which will cover tuition and other expenses for her final semester of college, Bixenman will receive a free two-year NEWH membership that will allow her to attend the organization’s meetings, events and conferences.